When it comes to adventure travel, there are few places in this world that compare to Patagonia. From the moment you land in Chilean Patagonia you will see that this is not simply another adventure, rather, it is a right of passage into the land of discovery. 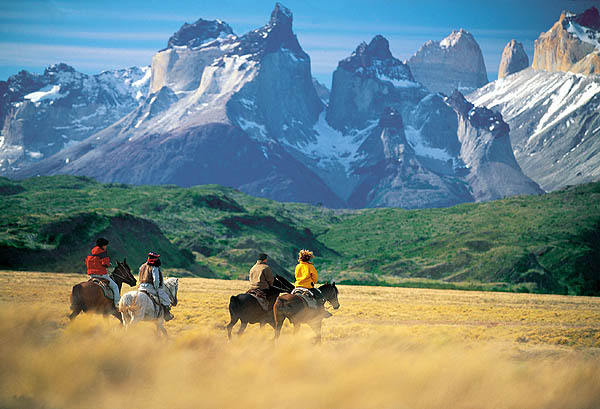 Ride horseback through the oldest standing cattle ranch in Chilean Patagonia, take the classic W-Trek through Torres del Paine National Park and kayak to the edge of the southern icefield. Our journey will be filled with towering granite walls, lush green mountain valleys, giant glaciers and vibrant blue icebergs. This trip will change the way you think of adventure, and provide you with memories for a lifetime. 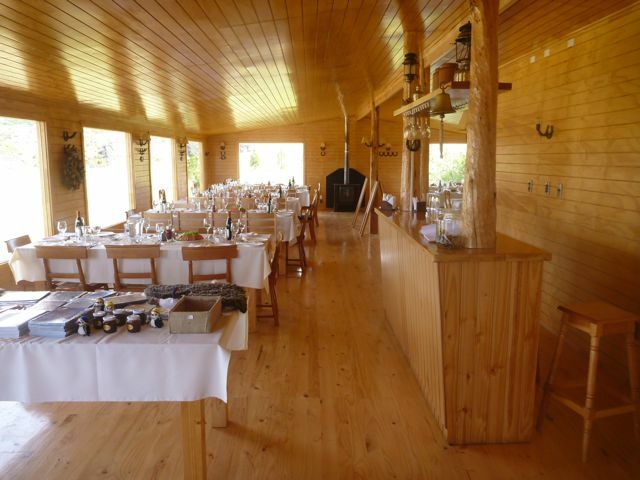 Three quality meals a day during trekking, kayaking and horseback riding events. Sleeping bags and sleeping pads are required, and can be rented with advanced arrangements. Accommodations in Puerta Natales will be at a comfortable hotel or bed and breakfast, in the city center area. Double-occupancy rooms, close to restaurants and bars. While trekking between camps our duffel bags, tents, sleeping bags, ground pads, food and cooking equipment for our nightly camping will be transported via porter. You should only carry a day-pack with your rain gear, extra layer, camera, valuables, water, sunscreen, etc. Weather is extremely variable and impossible to predict in the Patagonia. Therefore, you should always be prepared for wet and windy days and cold nights. Three meals a day are provided (where indicated on the itinerary), including delicious vegetarian options (please identify any dietary restrictions upon registration). Breakfasts will include foods such as eggs, sausage, toast or pancakes, hot cereal, fruit and juice, tea and coffee. Trail lunches will be simple sandwiches with chips, cookies or other snacks. Dinners will include meat dishes of beef, chicken or fish, fresh vegetable dishes, pasta, rice, potatoes, homemade soups, fresh fruits, desserts, juice, tea, coffee. DAY 3: Enter Torres del Paine National Park, trek the Ascencio Valley to the base of the towers. DAY 4: Trek along Lake Nordenskjold and the hanging glaciers of Mount Almirante Nieto, to the base of Los Cuernos. DAY 5: Trek to the French Valley with granite walls and hanging glaciers and trek past the turquoise waters of Lago Pehoe. DAY 6: Trek along the enchanting Lake Grey; boat ride across the lake with views of Glacier Grey and calving icebergs. DAY 7: Navigate the Serrano river by kodiak boat through the southern ice-field to our camp at Puerto Toro. 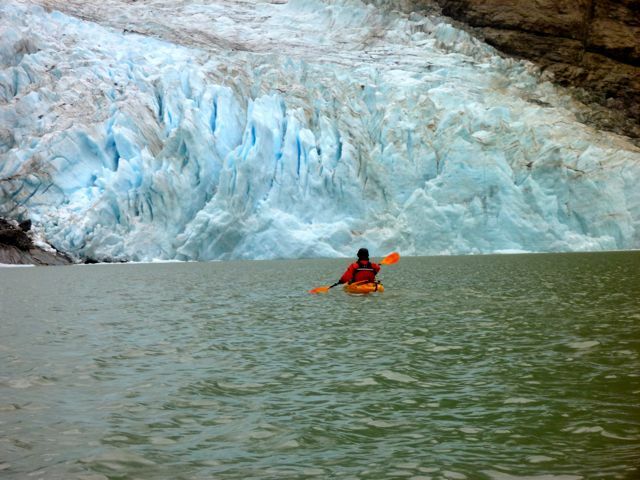 Kayak to the hanging Balmaceda Glacier. DAY 8: Kayak the Serrano glacier lagoon, in and amongst the icebergs. Return to Puerto Natales by boat through the Last Hope Sound. DAY 9: Transfer to Punta Arenas airport, with a stop at the Seno Otway penguin reserve. See detailed itinerary for DISCOVER PATAGONIA. To be fully prepared for this trip and really enjoy yourself, you will need to take your training seriously. Engaging in as many long, hard hikes as possible is a great way to prepare for your trek. Experience carrying a 20lb backpack several days in a row is a must. Participants should be mentally and physically prepared for strenuous activities in adverse weather conditions. Look for hikes like the Lost Coast Trail to test your training and abilities. Please find a full pack list here. From this list you can choose to purchase the items, but mostly we just want you to get a visual of the type of product that you will need to have. Keep in mind that cotton should not be worn outside of Puerto Natales. We'd like you to get to know your guide before your trip, please follow this link to see your guide's bio page.